This post offers a glimpse into the home study of United States Supreme Court Justice Hugo Black through descriptions of its furnishings and numerous books. 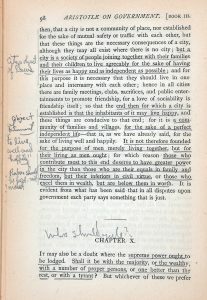 Several books illustrate Black’s significant interest in the classics while Martin Luther King, Jr.’s book, Stride Toward Freedom, provides an example of the many books Black received as gifts containing interesting inscriptions. 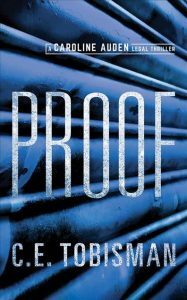 The winner of the 2018 Harper Lee Prize for legal fiction is C.E. Tobisman’s Proof. 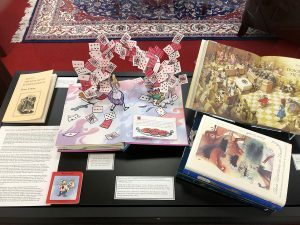 The following post, “Alice in Court,” seeks to describe the legal aspects of one of the world’s great fantasy stories–Alice’s Adventures in Wonderland by Lewis Carroll. 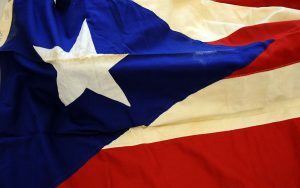 The exhibit includes works in a Lewis Carroll collection assembled by Litera Scripta co-editor Paul M. Pruitt, Jr.
On March 1, 1954, two hundred and fifty-four members of the Eighty-third Congress were debating immigration issues when a Puerto Rican Flag was unfurled and pistol fire erupted in the House of Representatives chamber. Four Puerto Rican nationalists fired thirty shots at the representatives below, wounding five of them. One of the wounded was the Democratic representative from Alabama’s Fourth District, Kenneth A. Roberts who was shot in the leg. This exhibit represents items in our collections from this event. Litera Scripta is pleased to announce a new exhibit from our collections. 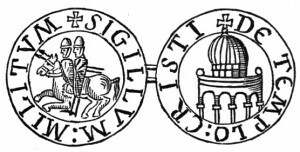 The Knights Templar is represented in the Bounds Law Library’s collections mostly in the form of nineteenth and early twentieth century Masonic materials. Many rituals of the medieval order are depicted—often in great detail—in these works. 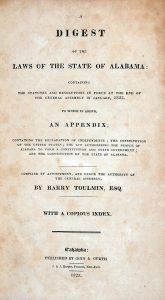 Selections from our collection include manuals, bylaws, rituals, an “Authentic Account of the Imprisonment, Torture, and Martyrdom of Free Masons and Knights Templars…,” as well as an 1861 Alabama legislative act incorporating the Grand Commandery of Knights Templar. The exhibit also features an original document; a 1911 certificate of knighthood from the Grand Commandery of the state of Tennessee. 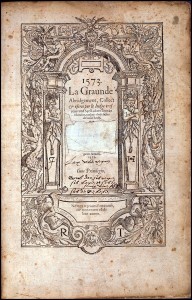 The Bounds Law Library’s Templar exhibit is located in the John C. Payne Special Collections Reading Room and we welcome visitors during regular Special Collections hours. 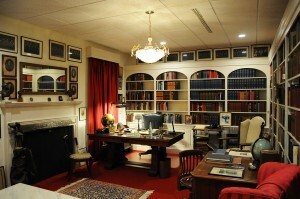 Litera Scripta is pleased to announce that following significant renovations this summer, the Hugo Black Study at the Bounds Law Library has reopened to visitors. The exhibit, which is a replica of Justice Black’s Alexandria Virginia study, underwent improvements including repainting, a new ceiling, and redesigned lighting. The collection is located in room 211 in the library. Litera Scripta, the Special Collections Blog of the Bounds Law Library, is pleased to announce a new exhibit featuring a collection of historic Alabama maps donated by Judge Benjamin G. Cohen. 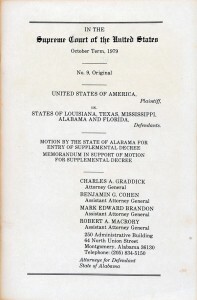 The maps were acquired by Judge Cohen during and after litigation of the Alabama and Mississippi Boundary Case [470 U.S. 93 (1985)], in which he and Dean Mark Brandon of the University of Alabama School of Law represented the state as assistant attorney generals. The framed maps are displayed in the central hallway of the Bounds Law Library.